BREAKING! 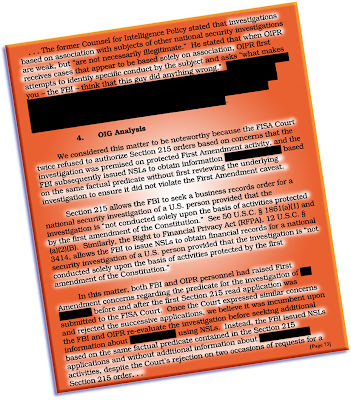 — DoJ’s OIG documents, and FBI admits — to egregious abuse of patriot act §215 authority, and NSL authority! of any target — most especially, u.s.
judicial pre-review whatsoever!). . .
why am i hot about this? well. . .
records, of its own error/negligence. 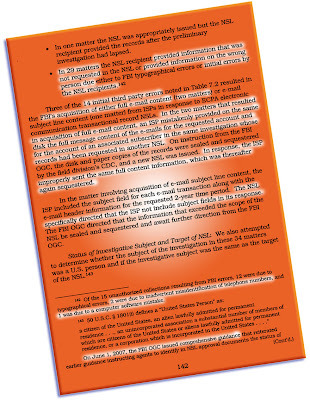 to the FBI field agents. astonishing! THAT one to your reps! over that bad boy, too. . .
through 2005 — they just weren’t reported.